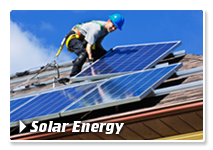 Dr. Energy Saver is your reliable home energy saving company in Virginia. Our experts can make your home, a healthier, more comfortable and energy efficient place to live. Our extensive home energy audit and energy saving solutions are personalized to fit your specific home, all the while creating a more enjoyable and healthy household environment. 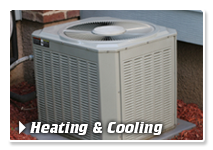 As the locally certified and experienced home energy conservation and efficiency company, we specialize in improving a home's energy efficiency and comfort through home energy evaluations, home insulation, HVAC, hot water heater, window and door upgrades. There's more to home energy assessment then the evaluation. We pride ourselves in the knowledge we have gained through home energy efficiency upgrades throughout Virginia. All of our services are available in and around Virginia Beach, Norfolk, Newport News, Chesapeake, Hampton, Williamsburg, Portsmouth, Suffolk, Gloucester, Yorktown, Smithfield, Poquoson, Hayes, Gloucester Point, Barhamsville, Fort Eustis, Surry, Fort Monroe, Seaford, Toano, Lanexa, Carrollton, and more! Free Estimates and fast service! Energy Savings and Home Comfort are related. 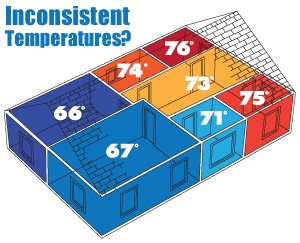 Inconsistent room temperatures throughout a home indicate inefficient energy systems. Our company is dedicated to reducing energy consumption and helping Virginia homeowners reduce energy bills while improving home comfort. 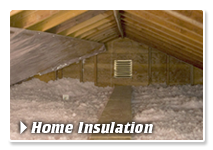 Our contractors are trained and experienced in the many facets of home insulation including: attic, wall, garage, basement, crawl space and roof insulation techniques. Contact us today for your home energy audit! 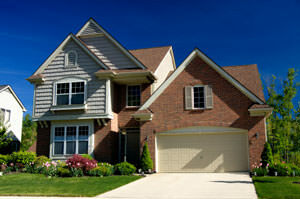 We will diagnose those problem areas and provide the solutions you need! 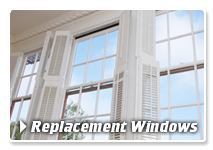 We offer home insulation, heating and cooling services, water heaters, window and door replacement, air sealing solutions, and more! Your monthly utility bill is usually a plain document giving you no details of where or how you spend your energy (KwH). Contrary to your electrical bill, our whole house energy audit is a thorough testing of your home's entire energy system that gives you a detailed report and analysis of your energy consumption. Our audit does more - it goes on to prioritize your best energy saving opportunities based on our 10 energy vital signs. Once you fix your home's largest energy weaknesses you'll begin to live a more comfortable and affordable lifestyle. We proudly serve Virginia neighborhoods including: Newport News, Norfolk, Virginia Beach, Portsmouth, Chesapeake, Hampton, Yorktown, Suffolk, Gloucester, Williamsburg, Seaford, Smithfield, Poquoson, Carrollton, Toano, Lanexa, Hayes, Gloucester Point, Barhamsville, Fort Eustis, Surry, Fort Monroe.